I was so excited when I ran across this product! I couldn't wait to get started! In fact, my daughter is going as Tinker Bell for Halloween and the Citrus Dream was perfect for Tinker Bell shoes. I purchased a pair of white ballet flats at Meijer on clearance. I wiped them down with lacquer thinner to remove any gloss from the vinyl so the paint would adhere better. Once they were dry, I taped off the rubber sole with painters tape and filled the inside of the shoe with white tissue paper to keep the paint out of the inside. I followed the manufacturers instructions (shaking, distance, etc) and began painting. It took 2 coats, but the result was EXACTLY what I had imagined. PERFECTLY SPARKLING GREEN and no flaking. So....I had ALL KINDS of projects running through my head for Christmas! Here's were the excitement turns to major DISAPPOINTMENT! I purchased silver, gold and bronze. Planning to paint some more luminary jars with a Christmas theme to sell at our shop. I'm pretty sure this project will not get completed...at least NOT with this product. I headed to the garage to spray my jars while my daughter was napping and other projects were drying. OH the mess that I was to encounter. If I had only known. I started spraying the 1st jar. I am only half way around and the paint can clogs. GREAT! So I attempt to push the button down, but it is all the way down and stuck. So I pick at the whole with my finger nail ( because the can says to DO NOT stick pin in opening) where the glitter is suppose to come out and all that is coming out is the glue base, but no glitter. So I twisted the nozzle around hoping that would help. No luck. I turn the can upside down, hoping that would stop the glue base and gas from coming out, but no luck with this either. Let me remind you the button is stuck in the DOWN position. There is no room to push it down any further. So I go against my better judgement AND the cans instructions and pull the nozzle off! THIS WAS NOT A GOOD MOVE!!!! The can SPECIFICALLY says not to pull the nozzle off (I should have listened), but what was left? Well let me tell you...this was NOT the way to go. Much like the 4th of July fountains that pour out beautiful displays of light....well this was GLITTER....and it was going EVERYWHERE! So...since nothing was close to me to put over the top, I put my hand over it (yes I tried to put the nozzle back on and it would not go on). So I sat there....hand over the can, freezing glitter paint is covering my hand....I sat there until it ran out of gas. I had ONE PRETTY HAND. I would have photographed it, but it was too sticky to touch the camera and the other one had some on it too, just not as much! 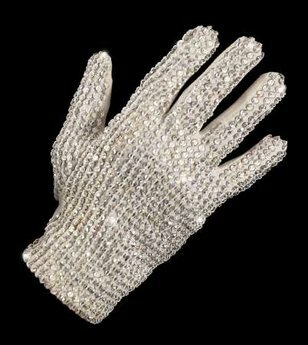 My hand resembled Michael Jackson's glove from the 80's! Now....how to get it off. First instinct is soap and water! Wrong! That just made it stick even more. So I went back to the can for clean up instructions....Lacquer Thinner. Thankfully I had some. I wasn't really sure what it would do to my skin, but I had to get the glitter off! My daughter had dance class that night and I couldn't go with my Michael Jackson hand? The lacquer thinner did take the glitter off, but left my hand red, irritated and very dry! Now what to do with the can? I wrapped the can in a plastic bag and planned to exchange it for another one. Because there was something wrong with that can... Right? Or was there? Day 2. My daughter is napping again. The salt dough ornaments are baking in the oven! Time to spray some jars! I pulled out the silver to finish spraying the one I started yesterday. Shook the can for 2 minutes like it says (I even set a timer because I DIDN'T want a repeat of yesterday). Took the lid off and sprayed. SUCCESS! One jar completed. Now...on to the gold. Shake for 2 minutes, remove lid and begin spraying. I'm half way around the jar and the can clogs AGAIN! Well....I go through the entire process as I did before...except I DID NOT pull the nozzle off this time. 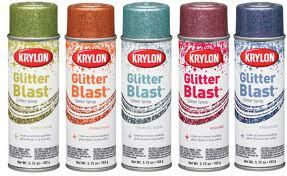 I put the can outside my garage and called Krylon. Their answer...."I'm sorry, sometimes that happens, if you would like to mail the product back with the receipt we will be happy to refund your money". I don't want a refund...I wanted the product work! So I asked if they had any suggestions on how to fix the issue. "NO, sometimes that just happens...again we can give you your money back". Well that doesn't help finish my project nor does it fix the huge disappointment I was left with. I was once filled with joy about the product and now I was greatly disappointed and left with one very dry irritated hand! Krylon...I am disappointed in your customer service line and response. I can't be the only one out there with this issue. Am I? Has anyone else experienced this? If I am....please tell me what I am doing wrong. If I am not, Krylon shame on you for not having a better answer! Not to mention my hand is REALLY dry from 2 days of a Lacquer Thinner manicure. Hi there! I'm so sorry to hear about your experience. I didn't have an issue with mine, so I'm wondering, could it have been the temperature? The angle? I'm not a spray paint expert :( But your shoes are super cute!! I had the same experience with three different cans in a row!!!! I was thoroughly frustrated with this product by the time I was done. I don't think temperature or angle had anything to do with it. I have read review after review of the same thing happening to a lot of other people. Its terrible. Great concept but it looks like Krylon needs to go back to the drawing board...if they even care. So GLAD to hear that I was NOT the only one that has had this issue. I did read some reviews, but did not hear any complaints...only good things. I agree....Krylon does need to go back and revisit this. I had 3 cans do this as well. I decided to give the last can I had a try after writing this post....it clogged as well. Krylon did respond. They wanted the batch number on the bottom of the can. Said it could have been a bad batch. I don't think this was the case since I bought 2 can at one store and 3 cans at another store...all in different colors. 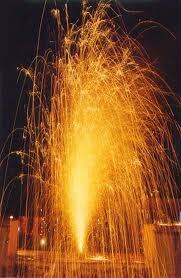 I believe they need to revisit the product and prefect the spray nozzle so this does not happen again! For now...I am done with Krylon Glitter Blast. PSS---In the end...the glitter DID not sitck to the shoes I did for my daughter. Most has flaked off now. You ALWAYS MUST .... Use A CLEAR COAT over the Krylon..... Thus the flakes become suspended and locked in. I had all 5 cans I purchased do this. I was so mad!! Good to know someone else had this same problem. They really need to rethink this and make a product that works. Too expensive for it to clog up! I have green glitter hands and 2 clogged and exploding cans of glitter blast in my garage. I am taking them back to the store, hopefully they will be more responsive than the customer service line! I bought 2 cans of gold at my local craft store for a project. I sprayed the 1st of my 15 boxes with gold as a test, successfully ... but when I tried stop painting and to 'clear' the valve as the can directions state, it just didn't work. The nozzle spit and was stuck in the full 'down' position while gas and dribbles of paint kept leaking. I tried repeatedly to get it to stop, and it seemed like eventually it did, mostly. Just now I got out both cans to do the rest of the project and both cans clogged immediately. This was after shaking the cans for the full 2 minutes first, etc. etc. Who tested this product?! I'll return them to the store and exchange them and *hopefully* be able to finish my project. I did not budget time in my project for this ! I am so glad to hear when I am not the only one that struggled with this product! However, I am sad for all of us. In theory...it's a great idea. And "WHEN" it works, the end result in beautiful. However at $7-$8 a can for a 50% or less success rate, it's not for me. I hope your exchanged cans worked better for you. Ha! Your description made me laugh! The "mayday" was perfect! And yes, it is freezing cold, I noticed that too. Glad I'm not the only one!